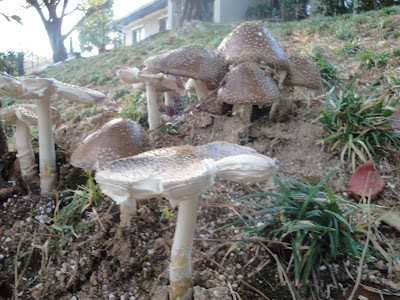 There is no specific theme for this week's Photo Hunt meme so I am sharing these sets of toadstools that I took yesterday and last week. 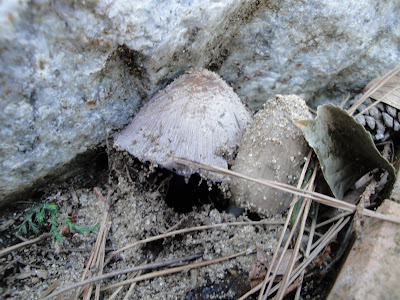 My children are very much fascinated with things that surrounds the nature. Be it bird, insects, flowers, bugs, or just about anything that they see. 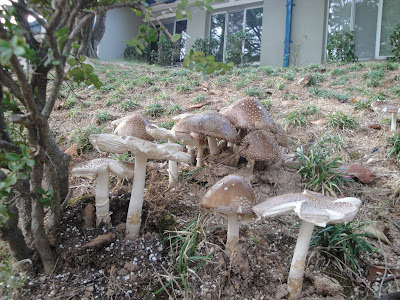 These toadstools are one of their fascination lately! My son found this in front of our neighbor's house and called me right away. My kids love its dotted color. 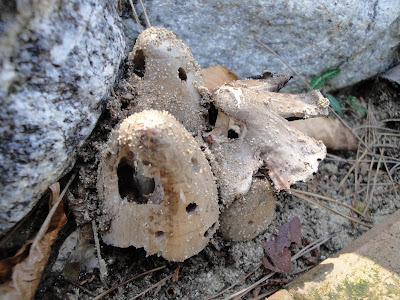 We found these toadstool village when we went to our favorite lake. I find it very cute that it looks like dwarfs are living in this toadstoll village hehehe.. Please take a closer look, there's windows and doors to it. Have a great weekend everyone! And please don't forget to vote for my daughter in the Smile contest. You can find the link at the right side of my blog. Thanks a lot! mushrooms kasi autumn na diyan naglalabasan yan pag medyo ang day eh short na, we also have those in my backyard every end of autumn,,, fungus..
Oh they looks pretty wow so many of them. Happy hunting! You are so much better at slide shows than I am. This week was my first ever attempt at it. how interesting. thanks for stopping by today. Great shots! I don't know why, but I looked at the pics and think of gnomes. yes they are pretty. 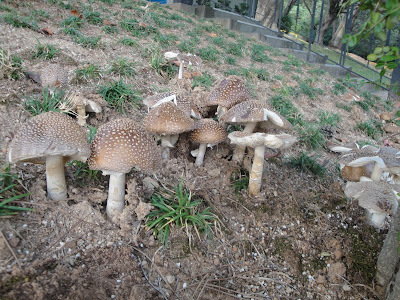 my BA also shared to me some pics of mushrooms that he had taken near his place. will share that to my readers soon too. 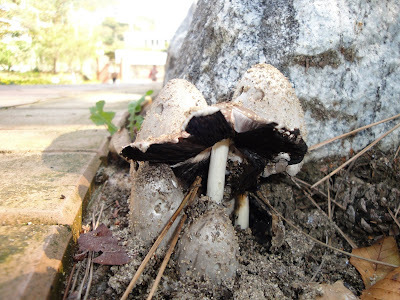 nice shots of mushrooms! eto ba yung mushroom na pwede kainin or for pizza.. so love mushrooms in any of my recipe. sumali kana sa wakas sa photohunt...hehehe! have to visit all your blogs first bago matulog.....had a rough day...sowe po sis...now lang ako nakadalaw...mwah!